Bijou smells yummy! 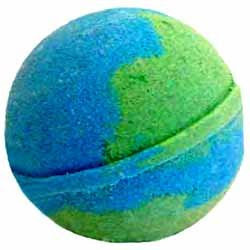 Everyone is loving the smell, we just got a fresh shipment of wonderful smelling bath treats!! Here are just a few of their new ones. We order from Blissful Bath, click here and visit their site, you can read all about their wonderful stuff! O ur fragrant soap cubes cleanse gently with super moisturizing glycerin to keep skin soft & hydrated. 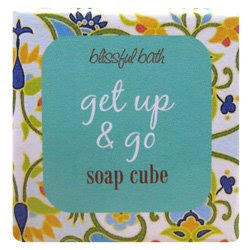 Our Get Up & Go Soap Cube is scented with our signature essential oil blend of lime, orange and tangerine. The essential oil blend is designed to help get you going in the morning. Now get up & go! What could be better than a relaxing bath with a yummy cupcake? 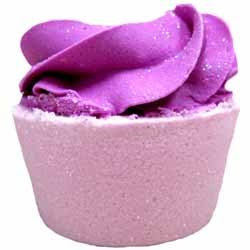 Our fizzy bath cupcakes are filled with moisturizing oils, fizzing action and fragrant scents. They will leave you feeling moisturized and wonderfully scented. Just drop in your bath for a fizzy bath treat. Great for favors or gifts! 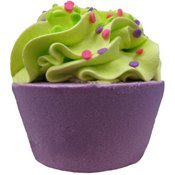 Our glitter girl fizzy bath cupcake is scented with kiwi strawberry fragrance and has a sprinkling of glitter on top. And what girl doesn't need a little glitter in her life? H ow do you get your son to take a bath? Willingly? Throw in a dino-shere bath bomb. Scented with peach, banana, pineapple and orchid with a special surprise inside. Every dino-sphere bath bomb comes complete with a dinosaur inside! That's right a dinosaur. The boys go crazy for this bath bomb and keep their dinosaur collection! You can't miss! What do you get when you mix one part yummy treat with one part Hollywood bubble bath? A truly unique bathing experience! Our cupcake bubble bath is hand decorated to look like a real cupcake. But, it's actually a solid bubble bath. A solid bubble bath? Yes! Our Berry Yummy Cupcake Bubble Bath is a blend of raspberry, orange and musk. It's berry yummy! Be sure to stop in, even just to smell. Pick one up for your kids, or better yet, stop here, pick up a tub truffle, go to Vermont Coffee store pick up some real truffles and stop at the ships store to get a bottle of wine, take a bath and relax....how decadent does that sound???! I use these for rewards and treats for my kids...Or a gift to a friend, to say..."take it easy, enjoy a bath". I really want those cupcakes...but first I need to get the bathtub. Darn!